Until today, I had never in my life seen a good game of football involving the 1992 Autoglass Trophy winners. A real see saw game saw for the third consecutive time, a farcical goal go in at the Scoreboard End. Peter Crouch forced a great save from David De Gea on 3 minutes before Jonny Evans attempted clearance deflected off Crouch’s shin and into the back of the net. When Van Persie equalised on 43 minutes, the relief around the ground could be touched. It didn’t last long. Two minutes later, Marko Arnautovic beat David De Gea on his near post from a free kick to De Gea’s right. Wayne Rooney was again immense today, he was busy and determined. Some United players didn’t have such a great game though. Jonny Evans and Phil Jones occasionally resembled Laurel and Hardy at the back, then we have Nani…(on doctors advice and some Mogadon , I’m leaving it there). Sir Alex Ferguson last Sunday said that Robin Van Persie could’ve been killed by Swansea skipper, Ashley Williams kicking the ball at the back of his head. Whilst theoretically true, the likelihood was a lot less to happen but here, Sir Alex had slipped up. Through his emotional and hyperbolic statement, it gave Williams an opportunity to give a glib and faux gracious interview after the game expressing all kinds of false apology whilst making Sir Alex looked dramatic. Out of the woodwork came people like Roberto Martinez, a man well known to be no friend of Ferguson’s, a chance to defend Williams whilst at the same time attempting to get up Ferguson’s nose for the forthcoming match on New Years day. This is the same Martinez whom his boss, Dave Whelan, ever so subtly tried palming off to Liverpool last summer so Whelan then wouldn’t have to pay up his contract by sacking him, sadly for Whelan, the ruse failed. A couple of days later, there was a lively exchange just prior to the second half of the Newcastle match between Sir Alex Ferguson, referee Mike Dean and linesman Jake Collin. A lot of people have assumed, but nobody has confirmed, that it was about Newcastle’s second goal. Whatever contentious things I find that Ferguson says nowadays, his press conference on Friday in what was supposed to be a lead up to yesterdays match saw him at his bullish and belligerent best. He simultaneously managed to incense the usually wrong but always self righteous ABU’s and cause the issue of a flood alert in Newcastle due to Geordies crying about his comments. I laughed heartily that the old bugger had done it again when I saw the general reaction from none United fans. Even Ant and Dec got in on the act. Apparently, Ferguson had lost it. 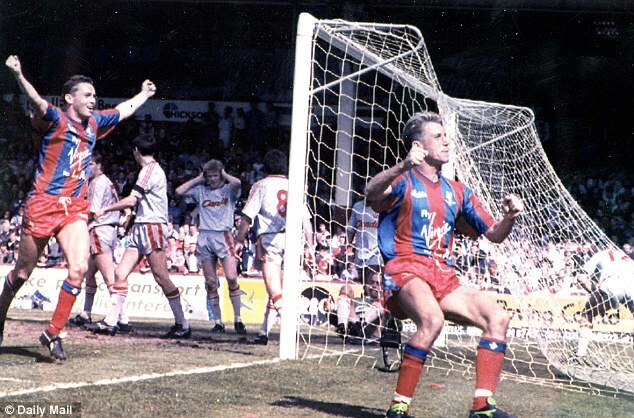 Alan Pardew, a man who’s only memorable moment in football was in scoring the winner for Crystal Palace in the 1990 FA Cup semi final has picked on the wrong man by commenting on something that didn’t really have anything to do with him. Has Mike Ashley really given this clown an eight year contract? If so he’s been done like a kipper. After the way the thouroughly decent Chris Hughton was treated by this deluded big fish in a little pond club, it couldn’t happen to a nicer lot. The first surprise we got was the news of a pitch inspection announced at 12.30. United haven’t had a match postponed at Old Trafford since Christmas 1991 when a match against Aston Villa was called off due to a frozen pitch. The rain in Manchester had been relentless over the Christmas period, the pitch on Boxing day looked in some parts dead. There were people wondering how could a match at Old Trafford be in any danger of postponement with all the technology available, but rain has no respect for technology. The pitch yesterday looked knackered, several times I saw what would normally be a good pass, particularly from the ever improving Tom Cleverley, get naused due to bobbles in the grass. I’m now waiting for the worm appeal that used to be issued by United in the Manchester Evening News when I was a kid via David Meek. The likelihood is though the pitch will be relaid in the new year as I can’t see Sir Alex Ferguson tolerating a playing surface like yesterdays for too long. West Brom have done well this season for a team that were considered relegation fodder pre season. Whilst in no danger of winning the title, nor probably anything else for that matter, they have been no pushover this season. The way United have been playing this term and with the festive period famous for turning up surprise results, I wasn’t taking anything for granted before the match. Having now seen West Brom, I can’t believe how high up the table they are, I thought they were rubbish. It’s a credit to their quietly effective manager, Steve Clarke, that they are far further up the table than their ability is. Queens Park Rangers, whom are almost certain to go down, came to Old Trafford at the end of last month and gave United a better match. The most annoying thing about yesterdays game was that United should’ve been out of sight by half time but like the West Ham fixture, just over a month ago, suddenly West Brom found themselves only one down with 15 minutes to go and started giving United a game. The anxiety around Old Trafford before Robin Van Persie’s goal in injury time which sealed the result, was unbearable. With Van Persie one booking away from a suspension before the slate was wiped clear for New Year, Sir Alex Ferguson didn’t want to play him yesterday. It’s a sign of how uncomfortable Ferguson was during the match was that he substituted Shinji Kagawa on 66 minutes for Van Persie. United made a great start to yesterdays game. Ashley Young played a pinball like cross forcing West Brom centre half Gareth McAuley into putting the ball into his own net. This is the second season in succesion that Ashley Young has forced a West Brom player into conceding an own goal after a similar cross in the opening fixture of last season caused Steven Reid to put the ball into his own net at the Hawthorns. West Brom didn’t have a shot on target until the 50th minute when Chris Brunt shot from 25 yards straight into David De Gea’s hands. West Brom played with more confidence as the game progressed, Gareth McAuley nearly repeated his goal into the Streford End in the 70th minute with a header that came off the bar. The atmosphere for the match was probably the lowest key I’ve seen all season. United fans were lifted by the own goal in the 10th minute whilst the West Brom fans were probably the quietest away support I’ve seen at Old Trafford since Everton last April. All I remember from them apart from the usual drivel about supporting their local team, were them singing a song about their 5-3 win at Old Trafford, 34 years ago to the day. Since that day where West Brom won at Old Trafford for the (to date) last time and managed by future United manager Ron Atkinson, they’ve never since looked remotely like repeating the feat. Thanks to Peter David Garton for his help in writing this and getting me thoroughly pissed yesterday and also, thanks to Andy Mitten from UWS for providing the information about the last match to be postponed at Old Trafford. Up until Jonny Evans equalised in the 64th minutes with a header from a Wayne Rooney corner, United were so devoid of any attacking idea that they made QPR look like they were defending with catenaccio efficiency. It took the substitution of Armand Traoré for Anton Ferdinand two minutes before Evans goal to upset the equilibrium of QPR’s defence. Anton Ferdinand may not be to blame for the goals but within ten minutes of his introduction, a 1-0 lead for QPR had turned into a 3-1 deficit. When Jamie Mackie put QPR in the lead seven minutes into the second half, few in Old Trafford could argue that QPR didn’t deserve it. More worryingly, like Norwich last week, I couldn’t see a United goal coming once QPR had scored. Today was the fifth consecutive match where United have conceded the first goal. Since the 20th of October, there’s only been two matches where United haven’t trailed at some point, they were against Arsenal and Chelsea, easily the best two sides United have played in that period. In alphabetical order, a review of the teams United have played this season. Two days after the 6-1 defeat to City, United played Aldershot Town. The timing of the game was a godsend bearing in mind what had happened 48 hours earlier. Any outside hope that Aldershot would have had by pulling a shock off were evaporated by the City result. 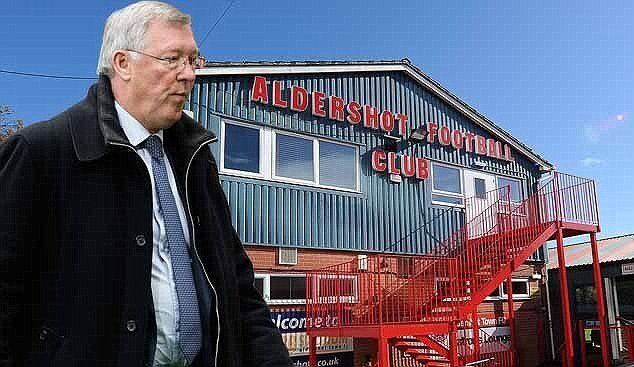 League Cup or not, there was no way Sir Alex Ferguson was going to tolerate a defeat to Aldershot in the aftermath of the City match. Everything went alright on the night. Travelling United fans weren’t extorted on the ticket price, United won 3-0 without getting into third gear and 4,000 loyal, salt of the earth and local club supporting Aldershot fans went to their first and last match for ten years.